To provide unparalleled expert service and professionalism, based on our landscape design, masonry, site work, and asphalt experience. Strive to continue open communications with our residential and commercial clients. Suggest alternative designs in landscaping, unilock pavers, cobblestone curbing and walkways, and retaining wall designs. 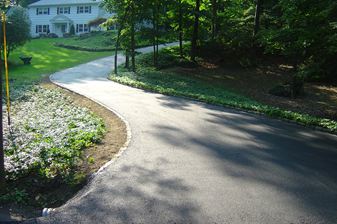 Have vision and confidence to propose unique driveway designs and landscape designs. 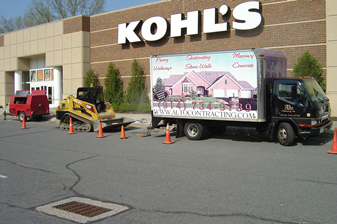 We are a Masonry & Paving Company specializing in site improvements and beautification. Like our slogan says "Committed to Superior Quality", we always strive to provide the highest quality and service to our customers. Our many years of experience and craftsmanship allows us to provide our customers with design suggestions that encompass their wants and desires for the finished outcome. Landscape design, stamped concrete, concrete countertops, antique cobblestone walkways, paving stones, concrete flatwork, stone walls, excavation, driveway asphalt paving and sealcoating (driveway sealing), acid stained concrete, are some of the services that we provide. We have the necessary experience, equipment and knowledge to complete the tasks at hand. Our work ranges from plan driven contract work, to intimate home hardscape and landscape projects. We are based in Cortlandt Manor, NY and have a location in Peekskill, NY as well. We serve Westchester County, Putnam County, Hudson Valley region, and the surrounding areas of Connecticut. Please click the link to our Residential page for a summary of services offered for your driveway, patios, walkways, steps, and a full gallery of completed work. Our Commercial customers can visit or commercial page where you will find information on the services we offer, and a full gallery of completed work.